And that is what this book is all about – new knowing for leaders to build resilience using Appreciative Inquiry. Most leadership approaches and models focus on the outer world in which leaders must lead with strength. Few touch upon the inner world where leaders must acknowledge their own vulnerability, allow it an honest, compassionate expression and inquire appreciatively into the complex phenomena of hope, despair and forgiveness. That is what makes this book stand apart with meaning and courage. The authors present a model called “Appreciative Resilience” to help leaders explore and develop ways to foster resilience for themselves and the people they lead. Let us have a brief view of the unique leadership model this book presents. The authors’ unique construct of appreciative resilience aims to help leaders build a personal call to resilience. Their work is rooted in Appreciative Inquiry (AI), a strengths-based approach to deep systemic change and development. The outer circle of their twin-circle Appreciative Resilience model explains its guiding pillars – Appreciative Inquiry (AI); AI principles; AI processes; AI leadership; and “being AI”. While AI is clearly the “catalytic force” of their model, to me the essence of all these pillars is perhaps being AI – the embodiment of AI principles and process in one’s leadership work and resilience practice. The authors’ elaboration of AI principles in the context of appreciative resilience is delightful reading, not just for the uninitiated, but also for the seasoned AI practitioner. The inner circle of their Appreciative Resilience model is the essential offer of this book. This circle is formed of an interplay of what the authors call the states or elements of appreciative resilience – hope, despair and forgiveness. Despair – The authors underline that despair is an essential companion of leadership. As humans, we all know despair well and also understand its dense nature. Authors focus on leadership and organisational despair. They emphasise that systemic forces make it hard for leaders to separate personal and collective despair. They present the appreciative practices of tracking and fanning to help leaders stride meaningfully through collective immobilisation. The worldview of the other person may have more merit and there is sense in allowing meeting of two perspectives. This calls for heightened awareness of perspective. Forgiveness is much more complex than most other psychological experiences. It is a profound choice. It calls leaders to have a steely appreciative will to practice forgiveness. By choosing to forgive, leaders foster future focus, generate possibilities and enable movement for growth. Perhaps one of the most poignant calls that the authors offer is a “determination to see that others both deserve and don’t deserve forgiveness, and to offer it up anyway”. The authors’ offer of appreciative resilience is not just reflective or philosophical. They share enough to support its active practice. There are stories and prose, reflection prompts, practices, exercises, interview questions, even a workshop design. For scholars, this model is founded in the science of Appreciative Inquiry, and artfully built on the authors’ personal and professional practice of their model. They seem to have researched widely and deeply. While their model remains at the center, the simplicity and lyrical feel of the writing is almost equally captivating. Expressions like “inviting tension as a muse” and the “ability to see the horizon” inspire meaning and stir thought. The authors’ courage to bare their hearts and their generosity in sharing make this book special for me. They hold themselves with rare gracefulness and strength while sharing their own struggles and vulnerability. I find the authors’ approach to forgiveness and resilience uniquely inspiring. It is amazing how they have humanised the same in a leadership context. What resonated deeply with me is the poetry at the start of each chapter, not just because I am a poet myself, but more so because of its invocative appeal. Reading about the authors’ model, named ALIVE (appreciate, love, inquire, venture and evolve), took me back to my first meeting with them. In a corridor conversation after attending their workshop at World AI Conference 2012, I offered ALIVE as an acronym of my experience to Joan McArthur-Blair. I was touched by her openness to understand my view of love, appreciation and evolution, and the grace with which she asked for my consent to use this acronym. I am sure their work is much more expansive than my in-the-moment reflection and gift of an acronym. Yet I felt both humbled and happy to find it holding a space in their consciousness. Apart from this, there are many other facets of their model and book that feel “like my own” or “about me”, and I believe other readers may also feel the same. This is the beautiful highlight of this book – it enlightens what is deeply personal yet essentially universal with a poignant feeling and thought. The authors emphasise that the “appreciative resilience model and this book are not linear journeys”. They encourage the reader to make the meaning personal and chart their own journey to resilience through hope, despair and forgiveness. There are aspects of authors’ model and this book that may come across as more philosophical than practical, more personal than universal. That said, book is full of stories and vignettes that the authors share from their practice, lending their model integrity. The authors’ poetic style of writing may not find favour with the readers who prefer a more prosaic style of writing. But that exactly is the unique value of this book – combining philosophical with practical and poetic with prosaic. On the surface, this book seems to be about “resilience”. In effect, the authors offer leadership concepts, insights and practices for deep learning and transformation. I would encourage leaders, leadership professionals, teachers and students alike to read with faith and objectivity alike. Leadership stands at the crossroads of what we do and who we are, and that is a profound place. It requires that we become stronger in our resilience and forgiveness and determination and love. Building Resilience with Appreciative Inquiry: A Leadership Journey through Hope, Despair, and Forgiveness is easily available from all online market places. Dr Joan McArthur-Blair is an inspirational writer, speaker and facilitator who specialises in the use of AI to foster leadership, strategic planning and innovative strategies for organisational development. She loves writing, speaking and facilitating, and works with groups of all kinds to make a positive difference. Dr Jeanie Cockell is an educational and organisational consultant. She is a leader in AI, with extensive experience in facilitating, presenting, training, coaching, conflict resolution, leading and collaboratively designing strategies for individuals, groups, organisations and communities to build positive futures. The authors are co-presidents of Cockell McArthur-Blair Consulting. Grounded in a life time of leading, they have co-authored Appreciative Inquiry in Higher Education: A Transformative Force, and Building Resilience with Appreciative Inquiry: A Leadership Journey through Hope, Despair, and Forgiveness. 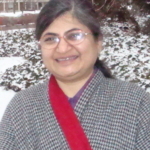 Neena Verma, Ph.D., PCC is a scholar-practitioner of AI-based OD. She is an ICF-PCC credentialed coach, specialising in leadership, systemic and transcendence coaching. An accredited sensitivity trainer and certified AI practitioner, she has developed a number of coaching and OD models. As well as extensive editing experience, including the February 2013 and November 2016 issues of AIP, Neena has authored two books and numerous articles. Positivity is such an everyday word, thrown in casually as a state-descriptor, advice, a judgement, a sermon, even a lament if it is perceived to be missing or inadequate. We all seem to be experts on positivity. Yet if we were to try to support our understanding of positivity with an intellectual argument, we might have little to say beyond a subjective understanding which may or may not hold meaning for others. The seminal work of Barbara Fredrickson presents a unique view of “positivity”. We may all be familiar in our personal or relational experience of what she calls “inner well-spring of positivity” and “negativity landmines”. However, what we may not be so clear about is the intricate nature of the phenomenon called “positivity” and the impact it creates when we “broaden and build” our outlook. The author presents an interesting concept called open heart study (not surgery!) which, according to her, not only creates a self-renewing experience of positive emotions but also an upward spiral of growth. Let us discover more about her book. The first key theme running throughout the proposition of Fredrickson’s work, is two core truths about positivity. The first core truth is that “positive emotions open our heart and make us more receptive and creative”. What is new or ground-breaking about this? It is Fredrickson’s experiments-based explanation of the difference that positive experience, negative experience and neutral experience states make on the outcome of the task we undertake. Though these conditioned states were tested as design experiments, they established outcomes consistently found to be true, even as lived experiences. This core truth explains the essence of the “broaden effect”, the first distinctive proposition made by the author. The second core truth presented by author asserts that “positivity transforms us for the better”, unleashing opportunity to grow and expand our psychological, mental, social and physical resources. Again, this core truth may seem like what is already obvious and widely known. Indeed, it is. With the second core truth that Fredrickson describes as “build effect”, she helps clarify our instinctive, inherited knowledge by sharing results of her open-heart study experiments. What stands out for me is the story that author chose to describe to build the case for open-heart effect. This riveting transformation story says more than her research on more than over hundred stories of personal change, collected with real-time data and researched with scientific rigour. Nina’s transformation speaks to my heart, not because the protagonist is my namesake (albeit with different spelling), but because it feels so “my-own”. I like to think that in different parts and aspects, this story would feel so my-own to many readers. Nina’s transformation is an inspiring account of purposeful, mindful, self-responsible positivity practice creating a life-affirming upward spiral of personal growth. Starting with a low positivity ratio of 1:1, punctuated by overwhelming stress, the feeling of being “in a rut” with psychosomatic symptoms (terrible headaches, stomach pains and failed attempts to conceive) she grew to feel acceptant, forgiving, kind, self-loving and naturally appreciative of seemingly small but subtle life-giving experiences and the wonders of nature. Over time Nina’s positivity ratio grew to an impressively high 6:1. In her words, her positivity journey resulted in “finding myself again”. The heartening highlight of her story is that in course of time she gave birth to twins. So how did this magic happen? She attributes it to a combination of meditation and conscious positivity practice which, over time, became reflexive habits. This is how open heart study unravels the not-so-obvious truth about positivity – that it takes conscious, heart-felt practice to make positivity a real, lived experience, much more than nicely worded positivity commonplaces. Another theme of the book is Fredrickson’s description of ten forms of positive emotions. Reading about them in isolation may not make much of mark, until you read about the portfolio of these positive emotions that one can self-build. Such a personally designed positive emotion portfolio helps because different emotions may need different methods to grow. Perhaps the most practically useful theme of the book is the positivity ratio. Fredrickson expands her positivity framework by incorporating the mathematical model of her broaden-and-build theory, developed by Marcial Losado, the scholarly practitioner of positivity. Together they establish a positivity-ratio tipping-point of 3:1. She backs it with her positivity-ratio self-test. At first glance this test may seem simplistic and temptingly deceptive. But a deeper view helps one notice the clever clustering of three emotions together to describe each of the twenty self-mapping invites: I prefer to call them invites rather than commonly used “item/statement”, because each of these statements took me to one or another lived life instance. This provided opportunity for me to revisit, without ruminating, parts of my history with reflective, self-inspiring invites to learn, change and grow. The reader may well be right to think that lot of what is written about positivity, strategies and the tools to increase it is common knowledge. However, this book makes a difference by substantiating and building what we already seem to know, with the science behind positivity and by explaining the principles behind the practice tools. Importantly, the ground-breaking research about positivity is presented in a way that speaks convincingly both to the rational, scientific minded as well as the intuitive, in-the-flow reader. Barbara Fredrickson establishes her credibility as a scientist of psychology. Her focus on quantitative evidence and command of inferring meaning from the same is impressive. There are data and more data, at times disrupting the flow of reading. There are parts where the author seems overly concerned with explaining what seems clear and understandable, such as explaining why she approximated a mathematical derivative of the tipping point for the positivity ratio from 2.9013:1 to 3:1. She is, by her own admission, “a measurement junkie”. But that is exactly the distinctive appeal of her work. Some phrases and titles, like “positivity feels good”, “decrease negativity”, “increase positivity” may seem so trite that the reader feels like putting the book down. Even if such common-place references, data and scientific focus feels a bit too much, I would encourage the reader to stay tuned for the anecdotal elaborations of the subject. Barbara Fredrickson deftly and evocatively combines the scientific argument with the human element of positivity. Though the title and focus of the book is positivity, Fredrickson’s work is realistic in its acknowledgement of negativity. To her credit, she offers a fair view of appropriate negativity, arguing that human flourishing would be limited if negativity were denied its natural existence as an essential part of human life. She explains this with the wonderful analogy of levity (the force that lifts one skyward) and gravity (the opposite force that pulls one earthward). She argues that human flourishing needs an optimal combination of both these forces. Her simple, yet strong, explanation is that while appropriate negativity keeps one grounded in reality, heartfelt positivity provides the lift needed for buoyant, flourishing life. Even as the author has heavily dosed her work with data and scientific evidence, to her credit she keeps affirming the inherent human truth that positivity is positive only when heartfelt and authentic. Fredrickson offers several positivity-practice tools, some of which may seem simplistic and familiar. That said, even though they may feel familiar, many of us do not actively and consistently practice positivity. This is where this book’s positivity toolkit may serve as a reminder for us to consciously practice positivity. I have read this book before. Re-reading it and writing a review reinforced essential aspects of the phenomenon of positivity, as it also opened new vistas. A reader like me might wish for less data and analysis and more anecdotal flow of the book. However, this is exactly the creative challenge and invitation for us – to open ourselves to a unique, fresh scientific understanding of the phenomenon of positivity, supported by personal stories in fair measure. And, of course, for left-brained, rational-preferring readers, this book is a treat. The book is easily available on all online market places. Barbara Fredrickson is Kenan Distinguished Professor of Psychology and principal investigator of the Positive Emotions and Psychophysiology Laboratory (a.k.a. PEP Lab) at the University of North Carolina at Chapel Hill. Winner of several awards for her research and teaching, her research establishes with scientific evidence how positive emotions, fleeting as they are, can tip the scales toward a life of flourishing. She created her broaden-and-build theory to describe how positive emotions shape people’s health and well-being. With their book Conversations Worth Having, Jackie Stavros and Cheri Torres present a unique perspective to conversations at all levels of human engagement – individual, relationship, groups and organizations. Conversations are at the core of human meaning-making and the social construction process. We may know each other as acquaintances, associates or in relationships. But it is through our conversations that we develop a “knowing” about each other, sometimes even about ourselves. The authors propose that most elevating experiences happen around conversations that are appreciative in tone and inquiry-based in approach. Here, the meaning of appreciative goes beyond mere praise or compliments, and implies hope, curiosity, inspiration, genuine interest, co-creativity, possibility and more. No prize for guessing which of these conversations are worth having! As the authors insist, conversations with an appreciative stance and inquiry-based approach “add value, strengthen connections, expand awareness, create an upward spiral of confidence, stimulate meaningful engagement and inspire positive action.” To their credit, the authors acknowledge the contextual usefulness of affirmative and critical conversations as well. Their focus, though, remains on “conversations worth having” which are facilitated by two appreciative practices. The authors have reinforced my belief that a problem when flipped (reframed in a way that shifts the view and moves the situation/person/process towards generative outcomes) transforms itself into a possibility hitherto unnoticed or unattended. I first learnt the art of reframing a problem into a possibility (articulating the positive opposite and reframing the proposition) from Dr Mac Odell, an acclaimed AI and positive change leader. I have practised this widely in both work and life contexts, building and broadening with my humble creation – an AI-inspired tool called “Fruit-Cause Synthesis”. But there will be another time and space to talk about that. Let us move on to the authors’ second appreciative practice. The authors begin by quoting generativity pioneer Gervase Bushe, describing the phenomenon as, “the creation of new images, metaphors, representations, that change how people think, stimulate compelling images that people act on”. Broadening the concept, authors present conversational practice of generative questions – questions that shift the tone and direction of a conversation, allowing different and diverse perspectives, bringing out unexplored wisdom, and stimulating creativity and innovation. These questions keep the focus on solutions and possibilities by inquiring about and into positive deviance, exceptional successes, unnoticed opportunities and unexplored potential. You may want to read real-time examples of generative questions (Table 3.2, Page 61, Chapter 3) and the impact they create. If for some reason you can’t read the whole book but want to experiment with its core offering, begin with these conversational practices, in Chapter 3. That said, I would like to believe that once you pick it up, you will be immersed in the book, if for no other reason, then surely for the heart-warming and wisdom-inspiring real-time stories that the authors share from their rich professional practice and personal experience. Each story offers a unique way to transform potentially unproductive, even damaging conversations into those worth having, thereby opening space for collaborative exploration, creative dialogue and possibilities for innovation. Each of these stories leaves one wiser. They say sometimes the endings are openings for new vistas, and the story about Ally Stavros (daughter of author Jackie Stavros) in the last chapter is that hallmark story. This story brings out the unique any time, any place, any situation meaningfulness aspect of conversations, that is the topic of this chapter. This story touched my heart most warmly and resonated with my own life story – bearing loss and transcending grief as a bereaved parent. What is helping me stay in faith and continue to have reverence for life is the deep appreciation mindset, including towards my loss, without denying my pain. As Ally wisely puts, “desperate times … should never have to go through again, but if so … I know where and how to start the conversation”. In that sense, this book makes a distinctive appeal in helping one learn the value and art of having a generative conversation with oneself. Lo and behold, there is more in this seemingly small book – the art of whole-system conversations that tap into collective wisdom and unleash systemic potential. Organizational development and change practitioners would sure love this. Do read the Fairmount story (Page 86, Chapter 5) of using AI to leverage the power of whole-system conversations. All this is not unrealistically positivity-biased. The authors back their long and rich practice-based knowledge with the conceptual soundness of Appreciative Inquiry principles, and grounded research from new science, positive-image/positive-action, and positive psychology areas. They cite findings from neurological research about the brain chemistry caused by strong beliefs and imagery, and the brain processing of imagery. And they draw insight from the positive psychology research about positive emotions. I loved reading and writing an appreciation-review for this book. I resonate most with the two practices of positive framing and generative questions. As practitioner of generative conversations, I know firsthand the value they create. The book flows with ease, appeal and impact. I highly recommend this book to leaders, coaches, OD and change practitioners, and just about anyone who is keen to kindle and enhance generativity in life and work. So, what more to expect from the authors? I would love more about the how – the process of designing conversations worth having. They have talked lucidly about the “what” and the “why” of conversations worth having. They have also explained the “how” of it, albeit mostly with help of stories and examples. I hope authors offer a more nuanced explanation of the process of designing conversations worth having. This could be immensely helpful for uninitiated-yet-keen learners, and of course also for those more experienced. Maybe in an expanded edition? The book is easily available on all online market places, including Amazon. Jackie Stavros is a professor at College of Management, Lawrence Technological University; Appreciative Inquiry strategic advisor at Flourishing Leadership Institute; and an associate at Taos Institute. She works across all sectors and in a variety of industries in leadership development, strategic planning, organization development, and change using Appreciative Inquiry (AI) and SOAR. She has presented her research and work and trained others in AI and SOAR in over 25 countries. Cheri Torres is a senior consultant at NextMove.is, partner at Innovation Partners International, and an associate at the Taos Institute. She works with organizations in every sector to support effective leadership, team excellence, and culture change. She has trained thousands of trainers and teachers in the use and practice of Appreciative Inquiry and Appreciative Facilitation. There is a certain quality which can only be obtained by improvisation … being on the brink of the unknown … and when you go out there you have all your preparation, sensibilities and prepared means … but it is a leap into the unknown. Frank Barrett, in his seminal work, “Yes to the Mess” offers fresh and unique leadership lessons with “jazz” as the evocative metaphor for improvisation. Barrett’s riveting book makes a convincing case for “jazz improvisation” as the transformational way of leadership in dynamic, volatile environments, where chaos, complexity and ambiguity punctuate all contexts of organizational life. The title of the book is at once both intriguing and inviting. So what does the author mean by “Mess”, and “Yes”! Frank Barrett is talking of the subtle, almost invisible, as also the glaring erupting changes in organizational life, as what he calls “mess”: changes for which there are no, or at best hazy cues, meaning that need you to experiment with possible solutions for which there is no clear way to know outcome or guess implications. There is incomplete, even missing information, and yet decisions are to be taken, actions to be initiated. It is in such conditions and environments that the author proposes that managers invoke and apply “affirmative competence”, an “implicit YES”, that enables them to move forward when faced with “messes not of their making”. This affirmative YES, the author proposes, opens the “state of radical receptivity” – a state where human beings and systems are able to sense and interpret the subtle and strong cues, and “respond meaningfully in the moment” with known and emergent skills. He calls this phenomenon of saying “Yes to the Mess” the improvisation mindset – which equips managers to be mindful, adaptive and creative, and able to “discover the future as it unfolds”, as well as to “discover themselves”. Through rich and mesmerizing stories of jazz and jazz musicians, business cases, and personal anecdotes, Frank Barrett helps the reader learn, without teaching. “Yes to the Mess” teaches how to transform complexity into creativity, and do what the best leaders and teams do – improvise. This book is a treasure house of gripping lessons and fascinating insights. It is difficult to capture in a short review the rich repertoire of compelling vocabulary, and the seven principles that the author offers to understand and practise strategic improvisation. I share below few phrases that have stirred me the most, followed by a brief account of the seven principles. Collaborative witnesses and catalysts … those supposedly on opposite/different sides, can together bring “new, unanticipated elements into conversation” and groove towards “mutual experience and knowledge”. Emergent system … is smarter than the individual members. Bricolage … The art of using whatever is at hand. Organizational life is punctuated with vague happenings, to be dealt with using limited resources. So what works is employees’ emergent ingenuity, resilience and pragmatism. Groove … The dynamic interplay, the mutual tuning-in, the empathic competence. When people find a groove with one another, they perform beyond their individual capacities. Generous listening … Listening with the selfless suspension of ego. The author talks of Miles Davis’s open, appreciative and generous ear that hears strengths even when weaknesses are shining through. Comping … Willingness to be a thinking partner, being aware of where the other person is headed. Art of unlearning … The author invokes leaders to challenge themselves beyond the known, to deliberately disrupt routines, explore and stretch learning into new and different areas. Affirmative competence … An affirmative belief that a solution exists, this principle is about being open to the unfolding situation, being able to interpret what is still vague and hazy, being able to stay “radically receptive” and respond meaningfully in the moment. Performing and experimenting simultaneously … “If you are not making a mistake, it is a mistake”, the author quotes from Miles Davis, the great jazz composer who, it seems, is author’s ideal model for the “jazz improvisation” metaphor. Barrett talks of “enlightened trial and error” which helps people feel safe to make mistakes, fail, leverage the unexpected results for iterative improvisation, and take advantage of errors and gain emergent insights. Minimal structure, maximal autonomy … This principle invites leaders to design an organization that has both sufficient structure and autonomous “choice-points”, so as to foster a culture of innovation. Jam and hang-out – learn by doing and talking … The author talks about “opportunistic conversations” that happen when people are offered space and an opportunity to jam. Followership as a noble calling … Citing the phenomenon of comping (accompanying), the author argues that organizations should foster the art of followership – supporting others to think and be their best, following and accompanying them in their journey for excellence. Provocative competence … is the ultimate extent of appreciation where one is able to “see” others’ potential even when there is no obvious glimpse of it. The author talks of the gift of “learning vulnerability” which empowers one to traverse through the unfamiliar territory. There are several phrases and concepts that I would love to talk about if a book review offered space for that. I share instead one story from the book that made deep impact on me. Interestingly this is a non-jazz story in the rich medley of stories about author’s central metaphor of jazz. “Everybody smile … Don’t point your weapons … Take a knee”, is what Lt Col Chris Hughes ordered his troops when an increasingly hostile crowd surrounded them, influenced by a rumour that Hughes’ battalion was charging on the mosque to arrest the high cleric, whereas the battalion’s mission was cooperation and protection for the high cleric. Later when he was interviewed to share where did he learn his strategy? “Nowhere, I was making it up on the spot,” Hughes said. This story for me captures the essence of the “jazz improvisation” metaphor and the “Yes to the Mess” offer by Frank Barrett. In the long list of concepts and principles, I am particularly keen to learn deeper and practise “generous listening” and “comping”. The introvert, reclusive me is looking forward to jam and hang-out and do-talk-learn-create together. So is this all jazzing? Well, broadly, “Yes” – a large part of Barrett’s seminal work “jazzes” with me. There are aspects that may come across as not-so-pragmatic. My guess, though, is that such exceptions would be subjective in nature. Most concepts and principles in this book derive their essence from the jazz metaphor. Barrett’s model of “improvising organizational life” is essentially emergent, like its central metaphor of “jazz music”. Those who see an invittation in the uncertain, ambiguous and complex may love and benefit immensely from this book. Those who feel safe and comfortable with known and proven methods may find Barrett’s propositions impractical, perhaps even daring. “Yes to the Mess” is at once philosophical as well as pragmatic. The book has an evocative, poetic feel. It was a breezy read for me, an otherwise slow reader. I would encourage students, teachers and all practitioners of organizational change to read, reflect and allow this book to “jazz” their thoughts about leadership and organizational change. On the surface, this book seems to be all about “jazz improvisation”. In effect, it is about leadership insights and practices for improvisation and innovation processes. I close my review with the quote with which Barrett starts his preface. It would be tempting to present Frank Barrett in conventional ways, highlighting his professional richness. I would rather quote his self-description … “I am a jazz pianist. I am also a management professor, and it is safe to say I have learned as much about leadership and organizational behavior from my riffing at the piano as I have from my academic experience”. I went to the World Appreciative Inquiry Congress in Orlando, USA last year where this book was positively recommended by various luminaries such as David Cooperrider. After I heard about it for the third time, I thought I would investigate. They evaluated the suggested organisations against some criteria and produced an initial batch of 18 companies that qualified, expanded to 62 in the current edition. The headline criteria are that, to qualify as a firm of endearment, the company or organisation must be passionate about doing good while doing well, and must be equally committed to doing well by all its shareholders, e.g. partners, investors, customers, society and employees. In addition there must be evidence that they live these values. The headline news is that when they then compared the performance of these Firms of Endearment against the Good to Great companies and the Standard and Poor Top 500, they outperformed them against the market by four to six times. In other words, while Good to Great and Top 500 companies outperformed the market, the Firms of Endearment, particularly the American ones, outperformed the market even more, in a 6 to 1 ratio (p. 20). So of course the question is: chicken or egg? Interestingly, much later in the book, a model is presented that suggests that initially a company has to “establish a strong market position and a predictable stream of profits” before it can advance up a hierarchy equivalent to Maslow’s Hierarchy of Needs. At stage two of this Kyosei hierarchy “managers and workers cooperate”; at stage three the organisation “extends cooperation to customers, suppliers, communities and even competitors”; and finally, at stages four and five, gets to address global imbalances and help governments solve global problems (p.157). In attempting to explain the rise of the Firm of Endearment as a successful business model, they suggest it is part of a wider 21st century zeitgeist, prompted in part by an ageing population experiencing the psychological process of “generativity”: “the disposition of older people to help incoming generations prepare for their time of stewardship of the common good” (p xiii-xiv). Many of these ageing baby boomers are also, of course, in senior and influential positions in business life. They also believe that the world is experiencing a strong search for meaning, which is driving people to look beyond the relationship of an organisation to their purse, to a relationship that speaks to their hearts, their passions and their values. This is described as “A transition from material want to meaning want.” (p. xxvii). The authors describe this as the emergence of the “Age of Transcendence”, suggesting that in this new age, organisations will need to connect with six specific senses – design, story, symphony, empathy, play and meaning – to engage and influence their stakeholders. All of which are asserted to have deep roots in the brain’s right hemisphere and all of which of course resonate with AI. There is a suggestion that we are moving from a “having” society to a “being” society. One can’t help noticing this resonates rather with our straitened and benighted times where there is less “having” to be had. The book draws on its more than 60 exemplar organisations to illuminate the various features of a Firm of Endearment and how they are expressed differently with the various stakeholders. For example, it recounts how Costco implements practices that reduce staff turnover, increase per-person productivity and support good efficiencies that create a virtuous circle that allows the organisation to both pay better wages and generate more income per person than rivals in the same industry (p.35). Wegman is quoted to illustrate that high quality, highly motivated staff can result in a doubling of margin per square foot against the industry average, a gain which more than offsets their proportionally greater wage bill (p. 61). There is no doubt the authors have identified an interesting group of organisations. A key question is whether, as argued, they are harbingers of a new age, or whether they are outlier organisations of a type that have always existed. The book itself starts well, but for this reader became progressively less interesting. I can see why David and others got excited about this book. It is centred on answering a great AI question “How are we going to make this company an instrument of service to society even as we fulfil our obligation to build shareholder wealth?” (p. 3) and gives good, quantified answers to that question. The evidence that organisations can be good and do well is very convincing and valuable. The authors have clearly contributed immensely to the business case for Appreciative Inquiry. The text is clearly located in idea that “Business is by far the greatest value creator in the world” (p. xv) and argues that we need to “Understand the power of capitalism to transform our world for the better” (xvi). This belief underpins the “Business as an Agent of World Benefit” AI project. However, the book proceeds as if a concern for the common welfare is a new phenomena, with no reference to the Quaker-run businesses, for instance, of the 19th and 20th centuries. I could also take issue with the unintended sexism of calling older women ‘postmenopausal’ while older men are referred to, somewhat more graciously, as ‘grandfathers’ (p. xxviii). Similarly the first time the female personal pronoun pops up, is in relation to a hypothetical customer (p. 7); none of the experts or CEOs quoted to this point (or at all, according to memory but not rigorously checked) are female. This book offers support to the Appreciative Inquiry project. It will also give you case study stories for your presentations. In addition there are some great statistics in here, but you have to dig through a lot to find them. I confess I didn’t finish the book. This book claims to offer an alternative way of organising that breaks away from the command-and-control model or as the author of the book calls it, “the predict and control” model. This seemed sufficiently in line with our aspirations as Appreciative Inquiry (AI) practitioners to warrant further investigation. The book has noble, honourable and inspiring intentions: it offers holacracy as a “new operating system” for organisations that will create a “peer-topeer distributed authority system”. This operating system creates empowered people who are clear about the boundaries of their authority, about what they can expect from others, and are able to be highly effective in their roles. In this model the organising process itself becomes the ultimate power, more than any individual, and every individual can have a voice in designing and altering the process. It is a flat system of roles and links that delivers high autonomy. It is predicated on a system of roles (essentially disembodied job descriptions), decision-making circles (meetings by another name) and a process of links. It bravely attempts both to relieve leaders of the pressure of the demand of omnipotence, and to make it possible for weak signals of dysfunction, lack of alignment, gaps in accountability, missed opportunities etc. to be attended to promptly and effectively by empowered individuals. It offers a clear process for distinguishing working in the business from working on the business. It presents a view of strategy as “dynamic steering” by simple rules or principles towards a general purpose. In this way it attempts to simulate evolutionary development processes and indeed sees itself as an evolutionary model. Reading this book was an interesting experience. The book is a “how-to” book and it sets out the process model in great detail, describing the purpose of key facilitator roles and the process of key tactical and governance meetings (“circles” in the terminology of the model). It is not hard to tell that the author and originator of this model has a software development background. My initial impression reading it was reminiscent of getting to grips with the complex board games of allies and axis that my sons and husband loved to play some years ago: a complex set of rules about the properties and powers of various pieces and cards subject to the rules of the dice. In the early stages as much time was spent consulting the rule-book as playing the game. As I read on I realised there was a strong binary flavour underpinning much of the process, an “if this, then that” logic driven by an implicit flow chart of binary decision-making. The author’s argument is that these tight constraints work to create an empowered freedom within them. However, it is noticeable that much of the instruction reads “no discussion allowed” as the process is strictly followed. In essence he is trying to programme out the negative aspects of the human element in this organising process and to create an organisational process that functions effectively despite the emotionally and relationally wayward behaviour of people. This takes a lot of discipline on the part of all the players; which is to say it takes organisational energy. The author is honest enough to point out that this new process does not always “take” in organisations despite various people’s interest, energy and support. He identifies that the key challenge, which is also at the heart of the model’s power, is the need for those with current power in the system to give it up. The author is of the opinion that after an initial period of painful discipline, the benefits will become clearer to all and the process will become more self-maintaining. It is clear that not all organisations make it over the hump. Similarly, while initially he took a whole-system “all or nothing” approach to implementation, he has since softened his views and in this book he offers a chapter on “holacracy-lite” possibilities that offers guidance on how to implement parts of the process. The book is well written, offering a clear and detailed explanation of theholacracy organising process with a worked case study and anecdotes from experience used to illuminate how the various meetings and roles work. My take on the model presented This model is likely to appeal to those who have great faith in rationality and like highly structured, detailed and disciplined processes. In this sense it reads as very bureaucratic. It put me in mind of Lean, another process that, in theory, makes perfect sense; however in practice often takes a lot of energy to maintain. Both demand great human discipline. Robertson is clear that the role of facilitator “requires that you override your instinct to be polite or ‘nice’ and that you cut people off if they speak out of turn”, amongst other skills and abilities. In this way it is trying to programme out the emotional, irrational human decision-making influences such as ego, fear and group think, to create a less contaminated system of governance. In many ways this model seems aligned with Appreciative Inquiry and co-creative ways of thinking. For example, it is more wedded to biological than mechanical metaphors, it prioritises adaptability over predictability, and it is focused on releasing collective intelligence within a leader-ful organisation. However, it seems to work against human nature, or human psychology, rather than with it. It is this constant fight against core features of human systems that, in my opinion, is at the heart of the gap between the promise of these kinds of models and the frequent experience of the lived reality. However, I do think it offers a real, well-thought-out, and to some extent tried and tested alternative to our current creaking-under-the-strain-in-the-modern-era command-and-control organisational model. It will be interesting to see to what extent it is adapted across the organisational domain and I would love to hear from anyone who has either direct experience of working in an organisation based on this model, or who has attended training on it.